Years ago, a fireplace would include a chimney so that smoke can go out and wouldn’t be inside the house. But these days, a fireplace doesn’t need a chimney anymore. It would merely be a sleek glass structure of some sort with fire inside. But we don’t have to worry about smoke anymore because with modern technology, designers have figured out how to get rid of smoke. Talking about modern fireplaces, Antonio Lupi has gorgeous fireplace designs that would fit in any modern and contemporary spaces and would look great in any area of the house. 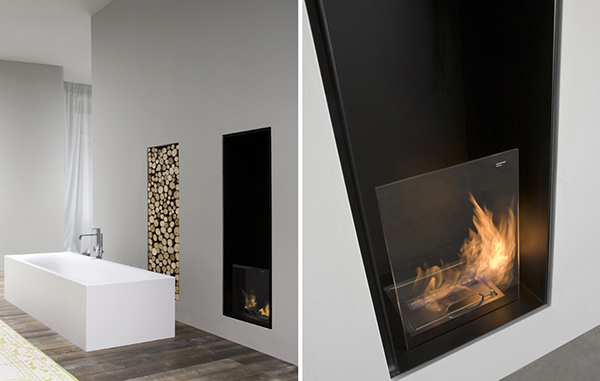 His fireplace designs are very beautiful and sleek and will make us fall in love with fire over and over again. I don’t know about you but I really love his fireplace collection! Jump in and take a look! 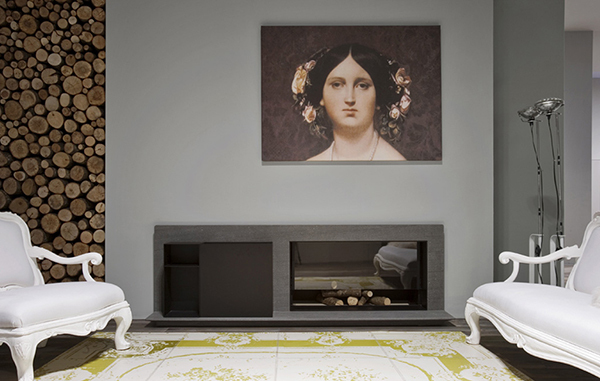 This is a minimalistic fireplace without frames or any additional components. Its contents are dedicated to the respect for the environment. This fireplace can be used indoor and outdoor. It can be freely placed next to dining table, a sofa or even a totem where one can sit and warm up. 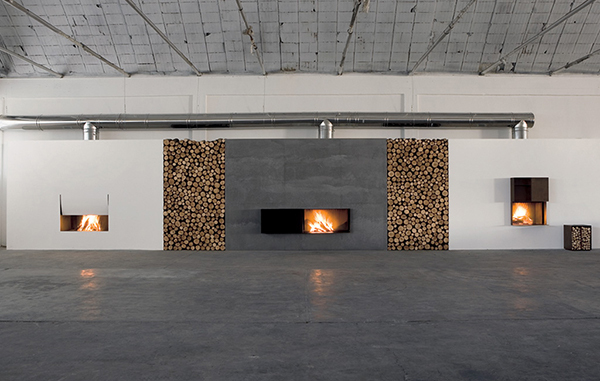 The boxes for these fireplace contain the same yet different performance of dancing flames. This design of a fireplace is reclining on the floor where a portal is made from Basalt and can be adjust to the left or right. It is a beautiful modern wood burning fireplace. 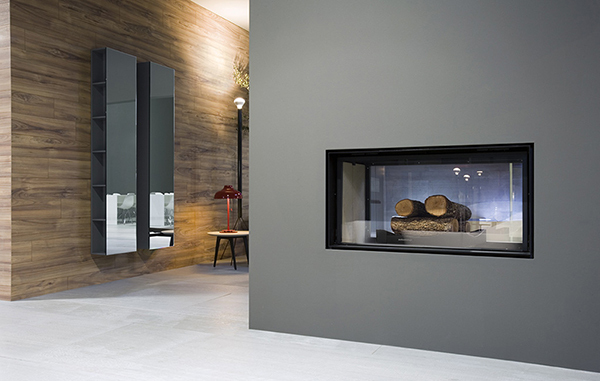 A stainless steel fireplace with functional elements that satisfy diverse needs for every space. This one is a table with bioethanol fireplace and steel structure with one burner and flame protecting glass. 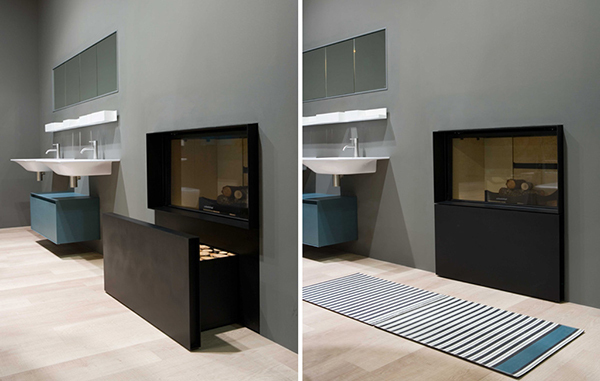 A modular fireplace that can be an addable system of functional elements. It is free and independent and can be combined with brazier, firewood case and open spaces. 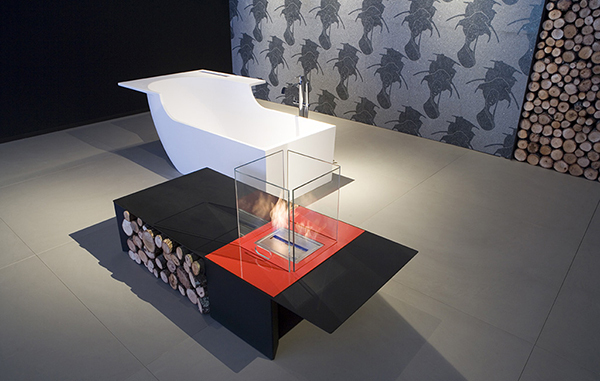 A contrast of water and fire are used for this fireplace that molded fire using bioethanol and wood burning fireplace. This is made from corten steel with rust finish. These are indeed gorgeous! It would even look great in your bathrooms. 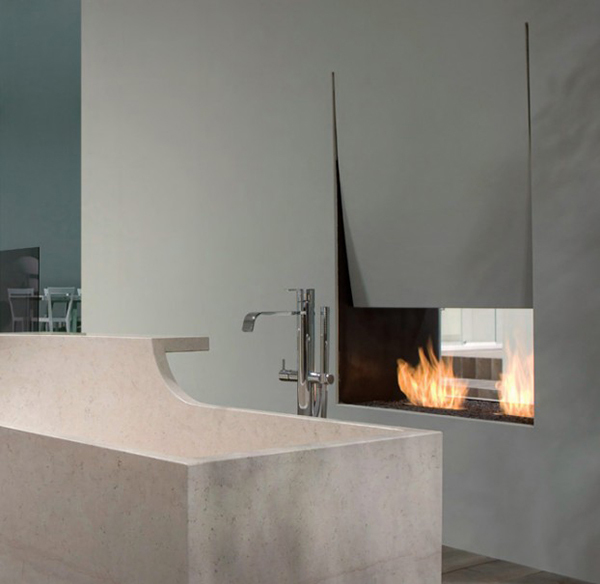 You can also check the bathroom system designs from Antonio Lupi which are as impressive as the fireplaces above. We have actually featured these bathroom systems before and I’m sure you will also like them! So, which of the fireplaces above is your favorite?